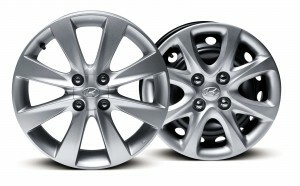 The 2014 Hyundai Accent offers more standard features and slightly uopdated exterior design! 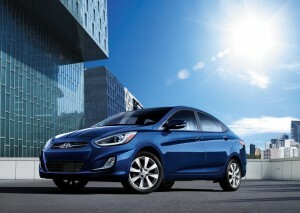 Hyundai Motor America launched a slightly upgraded Accent for the 2014 model year. The popular sub-compact car received a couple of updates, so let’s have a look at the details. The multi-award winning sub-compact car has been given a subtle upgrade for the 2014 model year after three full years on the market. The Accent keeps building on a proven formula of delivering an extraordinary value by blending utility, style, performance and segment-exclusive high-tech features in a compelling package. Hyundai hasn’t changed much under the hood of its entry-level model. The car’s all-aluminum 1.6L GDI 4-cylinder engine generates 138 horsepower and 123 lb-ft of torque. Mated to the 6-speed manual or automatic transmission, the 2014 Accent delivers 27 mpg city and up to 38 mpg highway fuel economy rating. Several other systems and technologies help the Accent to minimize the fuel consumption. The 6-speed automatic or manual gearbox delivers power smoothly and efficiently to the front wheels, while low-rolling resistance tires and great aerodynamic coefficient (0.30 cd) reduce friction with the road and the air. 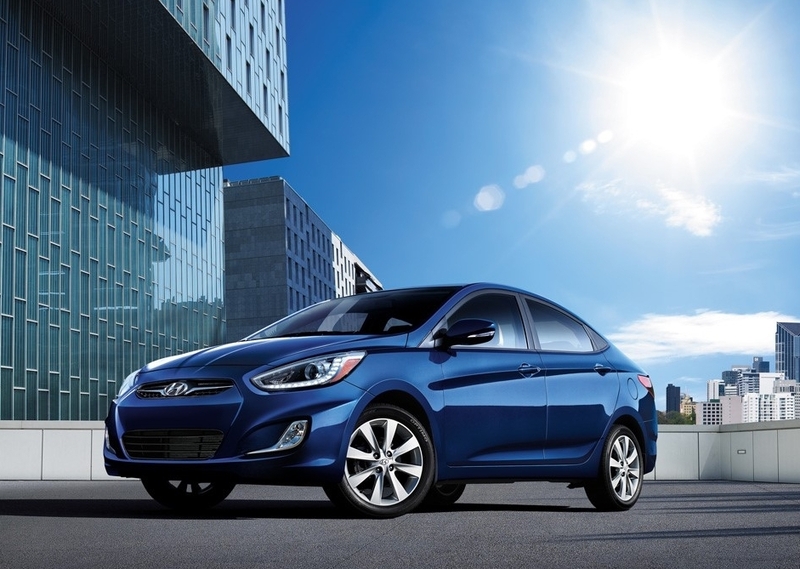 Furthermore, the 2014 Hyundai Accent also offers an Active ECO system which modifies engine and transmission control to smooth out throttle response. 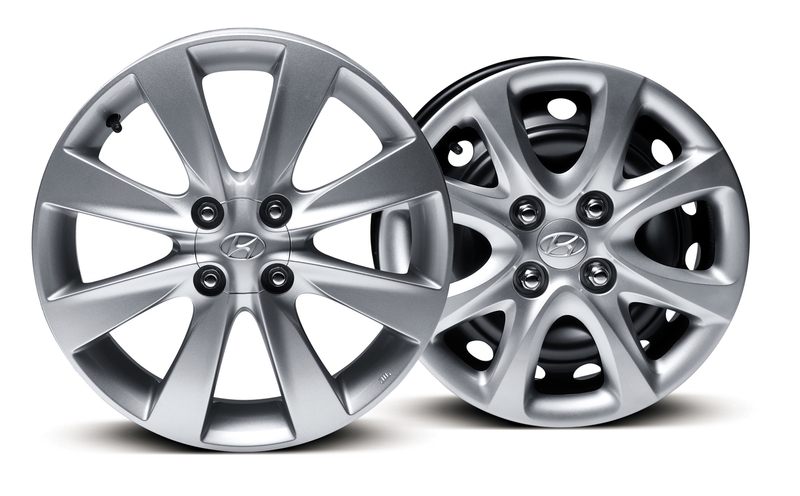 According to Hyundai, the usage of an Active ECO system improves the car’s fuel economy by up to 7 percent! The updated 2014 Accent offers a wide exterior color palette with 9 different exterior colors. The colors available on the 2014 model year are: Century White, Marathon Blue, Clearwater Blue, Ironman Silver, Ultra Black, Triathlon Gray Boston Red, Mocha Bronze and Electrolyte Green. Inside, the model offers a choice of gray or beige two-tone interior. Those looking for darker shades will also be able to pick a monotone black interior. There are three trims available including the GLS, GS and sporty SE. The sporty Accent SE offers features such as sport-tuned steering, cruise control, steering wheel mounted audio controls, Bluetooth hands-free phone system with voice recognition, tilt and telescopic steering wheel, rear disc brakes, projector headlights with LED accents and many others.